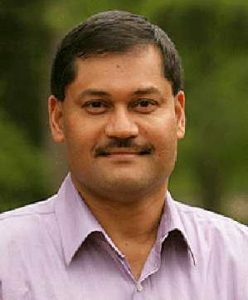 Gautam Biswas holds Endowed Chair â he is Cornelius Vanderbilt Professor of Computer Science and Computer Engineering in the EECS Department and Senior Research Scientist at the Institute for Software Integrated Systems (ISIS) at Vanderbilt University. He has an undergraduate degree in electrical engineering from the Indian Institute of Technology (IIT) in Mumbai, India, and M.S. and Ph.D. degrees in computer science from Michigan State University in E. Lansing, MI. Currently, Prof. Biswas is the lead on the VISOR (Vanderbilt Initiative for Smart Cities Operations and Research) TIPS center at Vanderbilt University. Prof. Biswas conducts research on intelligent systems with primary interests in hybrid modeling, simulation, and analysis of complex embedded systems, as well as their applications to diagnosis, prognosis, and fault-adaptive control. More recently, he has been working on data mining for diagnosis, and developing methods that combine model-based and data-driven approaches for diagnostic and prognostic reasoning. This work, in conjunction with the Honeywell Technical Center and NASA Ames, received the NASA 2011 Aeronautics Research Mission Directorate Technology and Innovation Group Award for Vehicle Level Reasoning System and Data Mining Methods to improve aircraft diagnostic and prognostic systems. In other research projects, he is involved in developing simulation-based environments for learning and instruction. His research has been supported by funding from NASA, NSF, DARPA, and the US Department of Education. He has over 600 refereed publications, and is a Fellow of the IEEE, a Prognostics and Health Management (PHM) Society Fellow, and a member of the ACM, AAAI, AIED, and the Sigma Xi Research Society. Traditional methods for model-based diagnosis assume an equation-based or a graphical model can be constructed to represent system behavior. This model forms the basis for designing fault detection and isolation schemes. However, as systems have become more complex, and with the advent of embedded and cyber physical systems (CPSs), it is becoming harder to construct models of systems that are suï¬ciently complete and accurate to support correct diagnoses. On the other hand, recent advances in sensor technology in conjunction with the computing revolution have enabled signiï¬cant scaling of data collection, data storage, and data processing schemes, leading researchers and practitioners to now turn their attention to data-driven methods for fault detection and isolation. In this talk, I will outline diï¬erent ways in which data (especially large amounts of operational data) can be used by itself or combined with models to achieve more accurate and more complete diagnosis systems. After presenting a framework for combining model-and data-driven methods for diagnosis, I will present a number of case studies from work we have done in enhancing model-based diagnosers with data-driven methods. Then I will discuss our more recent work on using unsupervised learning methods for anomaly detection, i.e., ï¬nding previously undetected faults from large volumes of operational data collected from complex systems. I will end the talk by providing interesting directions for future research. Mattias Nyberg is an adjunct (part-time) professor at the Royal Institute of Technology in the Department of Mechatronics. His main aï¬liation is, however, Scania CV AB, a leading global heavy truck manufacturer, where he is currently a technical manager of âfunctional safetyâ. He received a Ph.D. in electrical engineering from LinkÃ¶ping University in 1999, specializing in vehicular systems and automotive diagnosis. After that he has worked mainly in industry; ï¬rst for Daimler in Stuttgart, Germany, with diesel engine diagnosis, and later at Scania with on-and oï¬-board diagnosis, but lately also with functional safety. In parallel with his industrial career, he has maintained a strong research interest, and has been the main supervisor of six Ph.D. students in the area of diagnosis and functional safety. He is an author of about 100 scientiï¬c publications, and received the SAE Vincent Bendix award for the best paper of the year 2015 in the area of automotive electronics engineering. Fault diagnosis in automotive vehicles was introduced with the computerization of automotive control, mainly in the 1980s. Since then, each new emission regulation has introduced more and more stringent requirements on on-board diagnosis. In addition to engine control, todayâs vehicles have computerized control, and therefore also on-board diagnosis, of almost all functions. As suggested by the academic ï¬eld already in the 1990s, model based methods are nowadays a standard solution for on-board diagnosis. Also oï¬-board diagnosis has received much attention. The more and more complex vehicular systems have resulted in advanced computer-supported oï¬-board diagnosis used by mechanics in the workshops. Current focuses in automotive industry are connectivity and ADASs (advanced driver assistance systems). The potential of having all vehicles connected to the Internet opens up possibilities for new solutions of remote diagnosis; i.e. to allow the mechanics to read out diagnosis related information and do troubleshooting while the vehicle is on the road. ADAS functions make on-board computers safety critical, which implies that on-board diagnosis gets high requirements on the detection of safety critical faults. This is also regulated by the new ISO26262 standard. The trend goes towards even more complex and safety critical vehicles, much caused by the vision of self-driving vehicles. To enable troubleshooting of these vehicles in the future, there will be a strong need for certiï¬ed safety critical on-board diagnosis as well as computerized and automated oï¬-board guided diagnosis and troubleshooting. Hong Wang (Mâ97âSMâ02) received the B.S. degree from the Huainan University of Mining Engineering, China, in 1982, and the M.S. and Ph.D. degrees from the Huazhong University of Science and Technology, Wuhan, China, in 1984 and 1987, respectively. He was a research fellow with Salford University, UK, Brunel University, Uxbridge, UK, and Southampton University, UK, before joining the University of Manchester Institute of Science and Technology, UK, in 1992, and had been a professor of process control of complex industrial systems from 2002 to 2016. He has been with the Paciï¬c Northwest National Laboratory, Richland, WA, USA, as a laboratory fellow and chief scientist since 2016. He has authored over 200 papers and three books in these areas. His current research interests include stochastic distribution control, fault detection and diagnosis, nonlinear control, and data-based modeling for complex systems. He originated the work on stochastic distribution control (SDC), where the main purpose of control input design is to make the shape of the output probability density functions follow a targeted function for general non-Gaussian dynamic systems. Dr. Wang used to serve as an associate editor of IEEE Transactions on Automatic Control. He is currently an associate editor of IEEE Transactions on Control Systems Technology and IEEE Transactions on Automation Science and Engineering. Operation of complex industrial processes involves a raw material supplies chain, material processing lines and after-sales services. Examples are steel making, mineral proÂ­cessing, power systems, car manufacturing, paper-making and petro-chemical plants, where in the production phase there are a lot of control systems working collaboratively to fulÂ­ï¬ll the required production. These control systems have a multiple layered interface with the on-site human operators at diï¬erent levels, and the whole system works horizontally through various stages of material processing along production lines and vertically through the integration of diï¬erent layers of loop control, operational control, planning and scheduling as well as operational management. During the operation of these processes, safety is an important issue that ensures the achievement of optimized product quality and production eï¬ciency. Since for such complex systems there are a lot of subsystems working together in a collaborative way, a challenging issue would be how the system can still operate safely when some faults occur in the system. Moreover, if a subsystem has a fault, can other subsystems actively participate in a collaborative way so as to achieve fault tolerant control? In this plenary talk, the state-of-the-art on collaborative fault tolerant control schemes for complex industrial processes will be described. This is then followed by the description of operational fault tolerant control that realizes the fault tolerance functionality at the operational level in response to the loop control faults and the recently cascaded collaborative fault tolerant control for stochastic distribution systems. Some examples will be given as well to demonstrate these algorithms together with future directions. Christopher Edwards is Professor of Control Engineering in the College of Engineering, Mathematics and Physical Sciences at the University of Exeter, UK. He began his academic career in the Department of Engineering at the University of Leicester as Lecturer in 1996. He is currently a member of the IEEE Technical Committee on Variable Structure Systems and a subject editor for the International Journal of Robust and Nonlinear Control. In 2006, Prof. Edwards was awarded a Royal Academy of Engineering Senior Research Fellowship. His current research interests are in sliding mode control and observation, and their application to fault detection and fault tolerant control problems. He is the author of over 350 refereed papers in these areas and several books, including: Sliding Mode Control: Theory and Applications (1998) and Fault Detection and Fault Tolerant Control using Sliding Modes (2011). 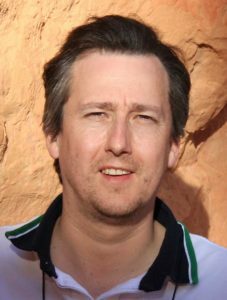 In addition, he recently co-edited the monograph Fault Tolerant Flight Control: A Benchmark Challenge (2010) based on GARTEUR AG16. Sliding modes in dynamical systems have been historically studied because of their strong robustness properties to a certain class of uncertainty. In feedback control systems, this is achieved by employing nonlinear control signals to force the system trajecÂ­tories to attain, in ï¬nite time, a motion along a surface in the state-space. The associated reduced order dynamics the system exhibits, whilst constrained to the surface, is called the sliding motion. This motion possesses strong robustness properties to so-called matched uncertainty. This talk will argue that actuator faults quite naturally fall into this class and therefore sliding mode controllers inherently possess fault tolerance. Furthermore, careful integration of sliding mode ideas within a control allocation framework will be shown to have the capability of dealing with faults and total failures in over-actuated systems. Several diï¬erent architectures will be described based on conventional and integral sliding modes. The pracÂ­ticality of these methods will be demonstrated using examples of applications of these ideas to aerospace systems. The talk will also include results from recent piloted ï¬ight tests of a sliding mode fault tolerant controller undertaken as part of the H2020/Japan collaborative project VISION. Dr. 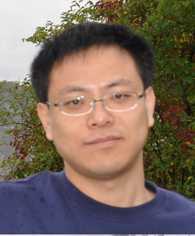 Gang Niu is an associate professor at Tongji University in Shanghai, China. He graduated from Beihang University in China, and received his Ph.D. in mechatronics engineering at Pukyong National University in South Korea. Prior to joining Tongji, he spent several years in China Aero-Polytechnology Establishment (CAPE) and the City University of Hong Kong, focusing on complex system health management, testability design and validation. His current research interests are in the ï¬elds of hybrid diagnostics and prognostics, and autonomous health management for intelligent vehicle systems. He has published over 50 articles, mainly in international journals like Mechanical Systems and Signal Processing, Reliability Engineering and System Safety, Expert Systems with Applications, Structural Health Monitoring, etc., with over 400 citations by researchers from over 20 countries. 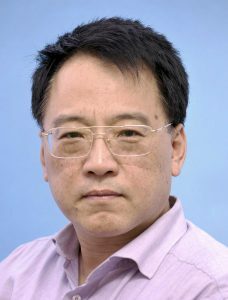 He is the chief author of two books published by Springer-Verlag and Science Press Beijing. In the past ï¬ve years, he has served as a technical committee and session chair for several international conferences like IEEE-PHM, WCEAM, and QR2MSE. 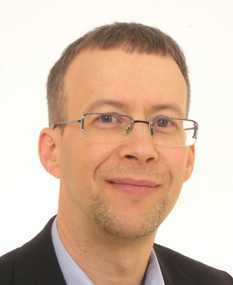 He is an editorial board member of IMechE Part C: Journal of Mechanical Engineering Science, and IEEE Senior Member. Over the past several years, a paradigm shift has occurred in engineering fields where complex systems are presenting more characters of hybrid, interaction, dynamic, data-rich and multi-energy transformation. Prognostics and Health Management (PHM) is essential in guaranteeing the safe, efficient, and correct operation of complex of detection, isolation and identification of faults; and prognosis, which consists of prediction of the remaining useful life (RUL) of components, subsystems, or systems; constitute systems health monitoring. PHM aims to provide users with an integrated view of the health state of equipment or overall system. An effective PHM system is expected to provide early and isolation of the precursor and/or incipient fault of detection components or sub-elements; to have the means to monitor and predict the progression of the fault; and to aid in making, or autonomously trigger maintenance schedule and asset management decisions or actions. This talk will introduce the Infrastructure of PHM platform and its technology approaches. In particular, the design & development procedure of engineering PHM system will be explained. Then cases study and ongoing related technique research in rail vehicle systems will be provided. The output of PHM technology will produce additional benefits to further research development towards PHM enabled autonomous health management that are the extension of fault diagnosis and prognostics to control reconfiguration and maintenance optimization. 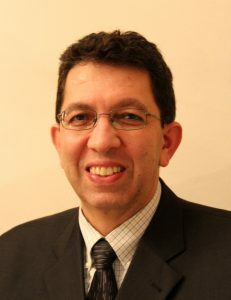 Marios Polycarpou is Professor of Electrical and Computer Engineering and the director of the KIOS Research and Innovation Center of Excellence at the University of Cyprus. He received the B.A. degree in computer science and the B.Sc. in electrical engineering, both from Rice University, USA, in 1987, and the M.S. and Ph.D. degrees in electrical engineering from the University of Southern California in 1989 and 1992, respectively. His teaching and research interests are in intelligent systems and networks, adaptive and cooperative control systems, computational intelligence, fault diagnosis and distributed agents. Prof. Polycarpou has published more than 300 articles in refereed journals, edited books and refereed conference proceedings, and has co-authored 7 books. He is also the holder of 6 patents. Prof. Polycarpou is Fellow of the IEEE and IFAC. He is the recipient of the 2016 IEEE Neural Networks Pioneer Award. He received, with his co-authors, the 2014 Best Paper Award from the journal Building and Environment (Elsevier). Prof. Polycarpou served as the president of the IEEE Computational Intelligence Society (2012â2013), and as the editor-in-chief of IEEE Transactions on Neural Networks and Learning Systems (2004â2010). He is currently the president of the European Control Association (EUCA). Prof. Polycarpou has participated in more than 60 research projects/grants, funded by several agencies and industry in Europe and the United States, including the prestigious European Research Council (ERC) Advanced Grant. The emergence of interconnected cyber-physical systems and sensor/actuator networks has given rise to advanced automation applications, where a large amount of sensor data is collected and processed in order to make suitable real-time decisions and to achieve the desired control objectives. However, in situations where some components behave abnormally or become faulty, this may lead to serious degradation in performance or even to catastrophic system failures, especially due to cascaded eï¬ects of the interconnected subsystems. Distributed fault diagnosis refers to monitoring architectures where the overall system is viewed as an interconnection of various subsystems, each of which is monitored by a dedicated fault diagnosis agent that communicates and exchanges information with other âneighboringâ agents. The goal of this presentation is to provide insight into various aspects of the design and analysis of distributed fault diagnosis schemes and to discuss directions for future research. 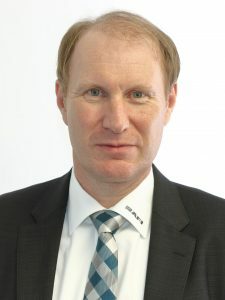 Lothar Seybold has been the VP and a member of the board of directors since 2015. He started his career 29 years ago with ABB Inc. in Switzerland, where remote software became ï¬rst time an important issue for big electric dives operated in huge mills in the mining business all over the world. His ï¬rst position was to develop a remote monitoring and diagnosis software for the ABB 28 MW GMD class. In 1999, he moved to Integrated Systems Inc. in Germany to take over the position of the chief technology oï¬cer. His responsibility was development of a new model based monitoring and control software system for the manufacturing industry. In 2006, he joined the RAFI GmbH & Co. KG company in Berg, Germany, to take over the position of the head of product and innovation management to coordinate and rapidly extent RAFIâs capability for innovation. In 2012, he took over the position of the R&D director, when he started the transformation of the company into an IoT one. Since 2015, he has been leading the business units for âsystemsâ and âcomponentsâ, and has also been called into the board of directors to represent technology and innovation. The information technology is revolutionizing products. Products and services are merging in the Internet of Things (IoT). In order to accelerate this process furthermore, leading economic countries are promoting national IoT activities like Industrie 4.0. in GerÂ­many or Made in China 2025. This has unleashed a new era of competition. In this context, also the domain of diagnosis and control faces a dramatic change in their industry. The traditional companies are forced to move away from the stand-alone diagnosis and control packages and suites to seamlessly integrate into new ecosystems. The services of the global players like Microsoft, Amazon or Google, or big industrial providers like Bosch, GE or KUKA are the future breeding ground for their business. All these changes open up an all-new ï¬eld of innovation in the domain of diagnosis and control. The beneï¬t of huge resources of data will, for example, move the topic of âsensor fusionâ into a new dimension. These elements, completed by a lot of others, will be broached and detailed during the presentation, with a strong industrial point of view, allowing the academia to better understand how the new businesses are created and what the engineering needs are. Marcin Witczak was born in Poland in 1973, received the M.Sc. degree in electrical engineering from the University of Zielona GÂ´ora (Poland), the Ph.D. degree in automatic control and robotics from the Wrocdlaw University of Technology (Poland), and the D.Sc. degree in electrical engineering from the University of Zielona GÂ´ora in 1998, 2002 and 2007, respectively. In 2015 he received a full professorial title. 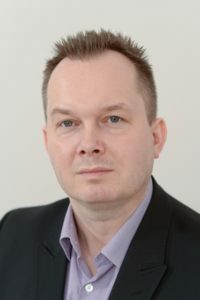 Marcin Witczak has been an a professor of automatic control and robotics at the Institute of Control and Computation Engineering, University of Zielona GÂ´ora, since 2016. His current research interests include computational intelligence, fault detection and isolation (FDI), fault-tolerant control (FTC), as well as experimental design and control theory. Marcin Witczak has published more than 200 papers in international journals and conference proceedings. He is an author of 4 monographs and 21 book chapters. Since 2015, he has been a member of the Committee on Automatic Control and Robotics of the Polish Academy of Sciences. Fault diagnosis and fault-tolerant control meet growing demands of modern control systems of increasing complexity. They make it possible to detect, isolate and estimate the size of a fault before it turns into a failure, and then to minimize its impact as well as ensure a predeï¬ned quality demands regarding the system performance. However, perfect fault diagnosis, not impaired by delays and estimation errors, is impossible. This rises the need for an integrated fault diagnosis and fault-tolerant approach, which will take into account all the above-mentioned unappealing phenomena. The objective of this talk is to present recent advances regarding such integration for both linear and nonlinear systems. The introductory part is devoted to the review of full-state-and output-based schemes for actuator and sensor fault estimation, respectively. The main drawback of these schemes is that they are designed under the assumption that either all sensors or actuators are fault-free. To overcome this restrictive assumption, a set of schemes for simultaneous actuator and sensor fault estimation are proposed. The second part boils down to discussing the above-mentioned integration issues within various fault-tolerant control frameworks. The main concern is the separation principle between fault estimation and control. The review starts with a simple fault compensation and ends with an advanced triple-stage scheme. The latter one consists of a robust controller, a fault compensation mechanism as well as a predictive control allocation scheme that prevents actuator saturation. All developments are illustrated with various practical examples exhibiting their drawbacks and advantages. Finally, the last part concerns a discussion about the applicability of the proposed approaches to the subsystems of a complex system and the related issues. 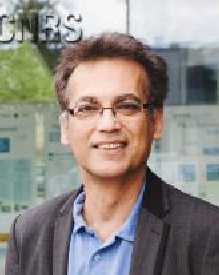 Ali Zolghadri received his Ph.D. in 1992 from the University of Bordeaux, France, and has been a professor of control and system engineering there since 2003. He has been a distinguished professor since 2014. His research deals with various aspects of control engineering, notably fault diagnosis, fault-tolerant control and guidance, and operational autonomy of complex systems. Between 2001 and 2015, he was the head of the ARIA team, IMS-Lab, CNRS/Bordeaux University. He has authored and co-authored over 75 papers in leading international journals, about 130 communications in international conferences, a Springer book and 12 book chapters. He is a co-holder of 14 patents (French and US) in the aerospace ï¬eld. Dr. Zolghadri has been the coordinator of a number of collaborative French, European and international research projects and actions in control and aeronautics. He is a member of the Aerospace and Safeprocess TCs of IFAC, as well as the Council of European Aerospace Societies and SAE International. He has served as a program committee member and international advisory board member for various international conferences, and has given many invited keynotes, plenary talks and seminaries during international events. He is a member of the executive committee of the Frances Aerospace Valley Cluster, and received an award for excellence in 2010 from the French Aeronautics and Space Foundation. In 2016, he received the CNRS Innovation Medal for outstanding scientiï¬c research with innovative applications in the technological and societal ï¬elds. The aviation and aerospace industry is a powerful engine of innovation as it has to meet more and more aggressive performance targets in reliability, eï¬ciency, safety, weight, range, environmental impact and emissions, etc. The challenges today are far greater than those faced in the past and continue to grow as individual systems evolve and operate with greater autonomy and intelligence within a networked and cyber-physical environment. Flight-critical applications provide numerous grounds where advanced FDIR techniques are needed to support conventional industrial practices. On the other hand, modern control theory oï¬ers a huge number of various designs, techniques and methods related to model-based FDIR and fault tolerant control & guidance. However, today, we have to recognize that the assessment is not overly enthusiastic in terms of real-world applications. The main focus of this talk is on a number of practical design considerations that should go along with any model-based FDIR design in order to provide a viable technological solution. Such considerations are decisive for the survivability of the design during ground/ï¬ight validation & veriï¬cation (V&V) activities. The views reported in this presentation are based on lessons learnt and results achieved through actions undertaken with Airbus during the last decade. One of the model-based monitoring methods that the author developed with Airbus received certiï¬cation on a new generation A350 aircraft and has been ï¬ying since January 2015.